The Fitbit Versa offers plenty of features and potential as does its cheaper compatriot the Versa Lite. But knowing the best apps to download from the start can boost your experience tenfold. 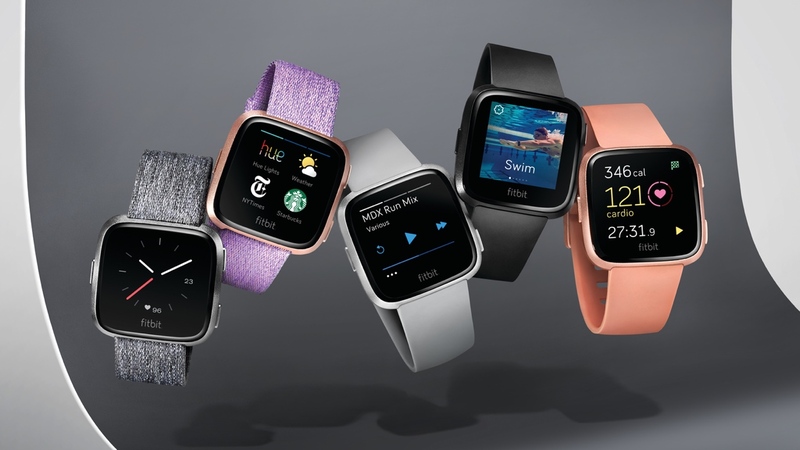 Like Fitbit's first smartwatch, the Ionic, the Versa and Versa Lite are able to tap into the company's app store and provide a home for the range of third-party and Fitbit Labs choices. Downloading an app to your Versa can't be done from the watch. So you'll have to do it from inside of the Fitbit smartphone app and then sync it to the smartwatch to access it from the wrist. Some of these apps will prove essential, some you'll grow tired of quickly, but all are worth glancing over as you get to know your new Fitbit. Need help discovering the top Fitbit Versa apps currently out there? Take a trip down below, as we round up the best options that we've played with. Providing you have the iOS or Android version of the MySwimPro app, you'll be able to tether and manage things from your wrist while you're in the water – the Versa is waterproof, after all. Obviously it can be a little tricky trying to pause proceedings on the fly, but this is a handy way to load workouts and be walked through them step-by-step; all while still viewing your heart rate in real time. Adding some colour to your bulbs already feels futuristic enough, but just think of the fun you'll be having when you sync them to your wrist for control. With the Philips Hue app, you can – lights are able to be turned on/off and different pre-set scenes (made on your phone) can be set. Setting up can be a bit of a hassle, as you'll need the bridge IP when getting started, but it's a great way to quickly switch between colours when your phone isn't to hand. You're already pretending to do work in Starbucks, so why not take things to the next level and begin paying from your wrist to impress people, too? The Starbucks app doesn't act as a portal for Fitbit Pay, because, you know, that'd be pointless, but it does offer a home to your Starbucks Card. From here, you'll be able to redeem all the coffee house's goodness without faffing about. It's not the Spotify or Apple Music app you might be craving, but Deezer is still available for subscribers to stream music directly from the wrist – providing you have a pair of Bluetooth headphones at the ready, too. Once you're all set up, you'll have access to 44 million tracks, while Deezer Flow is a nice way to mix up your old favourites with fresh recommendations. Handily, you won't need a New York Times subscription to read all the biggest news stories of the day, with the Versa app condensing everything into small reading chunks. It's a handy tool on your wrist for catching some headlines, but you'll need to go find stories on the app or website if you want to read more – unfortunately there's no automatic handover from the watch to a bigger screen. Tennis may seem like a fun time when you watch it on TV, with the score being kept by tournament officials, but those prima donnas won't be showing up to your game at the local park, unfortunately. And that means you're left to argue with your athletic younger brother over what the score is every other game. Leave this first world problem in the past with Fitbit Labs' Tennis, an app that'll help you count the score. You'll have to remember to tap your watch after every point, but you'll soon pick it up and even receive insights into your shots by forehand, backhand and serve. The Versa screen is naturally too small to give you a look at the map of your Uber driver on their way, but it does give you a way to discreetly and quickly order a ride, view estimates and tap through driver details. On a bad date? With the help of the Uber app, you'll be halfway home and eating that surge charge before they even realise you're not at the bar. You sly dog. Ah, Flappy Bird, a titan of the early paid-for phone game rush and a close cousin of 'that helicopter game'. Recreated for the Versa, the magic of Flappy is certainly not in the graphics, complexity or even the paradigm facing urban birds, but instead in the simple addiction. Tap the screen to help your winged friend avoid the pipes – the more you avoid, the higher score you get. Godspeed. Approved by the US' Environmental Protection Agency, Air Index is able to give you a live update of the air quality at any point in the country. Updated every hour, you'll be given the air quality figures and, because nobody really knows what those mean, a circular face to tell you if that's good or not. We're glad this one hasn't made it over to London yet, where everybody is breathing in soot like it's the industrial revolution all over again. Fancy yourself as a bit of a shredder, slick? Well, with the Skateboard app for Fitbit Versa, you're now able to track your sessions in the park on your wrist. Your heart rate will feature throughout, while you're also able to get live looks at the current speed, average speed, max speed, distance travelled and session duration. Your wood-pushing activity stats are even beamed over to the Fitbit app and counts towards your daily goals – just don't go wild trying to max out your speed with a coffin down a hill. That'll end, probably, in your Versa being a watch orphan.